Margaret Yates was born in Blackpool, the daughter of a French mother and a sailor father. She went to Layton Hill Convent, Blackpool and married Arthur an architect. They have three children, two girls and a boy and seven grandchildren. They moved to Dowbridge after the war. Over twenty years ago they settled down in Great Plumpton. Margaret was a school bursar for twenty five years at a Fulwood school. As the Church of St. Anne's Restoration Fund was reaching forty thousand pounds she decided to write these stories down and if they grew into a book, they would keep the old tales alive and also help to finance the church debt. Margaret had no idea how this book would materialise but out of the blue a neighbour offered to print the book for her. 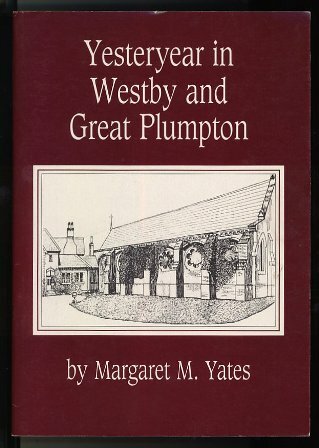 Without the help of so many kind people, "Yesteryear in Westby and Great Plumpton" would never have been published. A thousand thanks to everyone who has helped.